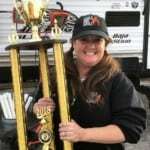 Pitmaster Christie Vanover, the woman behind GirlsCanGrill.com, has been competing in the sport of food since 2012, including three bouts at the World Food Championships. In 2016, she formed her Las Vegas-based KCBS team Girls Can Grill. Her husband, David is the logistics guru who helps with setup and tear down, ensuring everything is just right for a smooth flow of operations. Pops AKA Jimbo is the man who taught Christie how to cook. He is her sous chef who helps at the pits. Lin is the master box builder who also serves up the crowds with David during peoples’ choice events. Christie often invites other women and girls to help out the team, so they can experience a taste of competitive BBQ. Christie’s approach to starting a team was a little different than most. 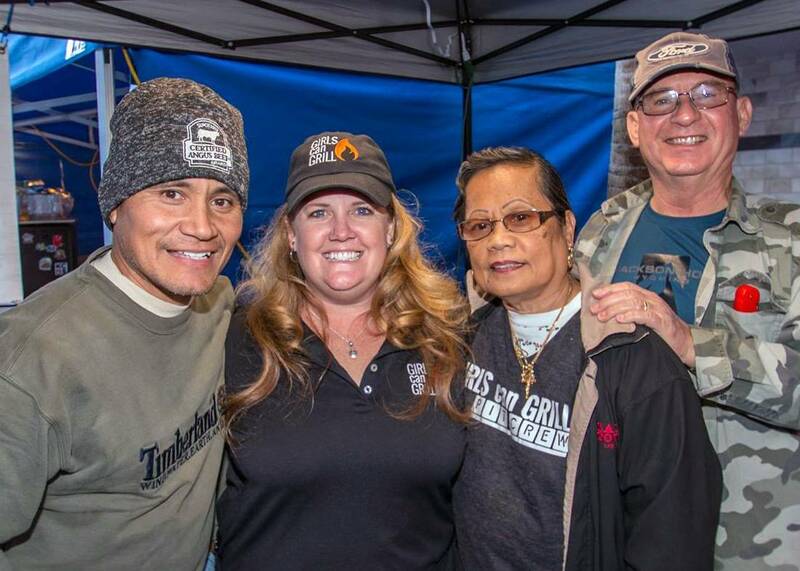 She understood right away that competitive BBQ is different than backyard BBQ, so she became a KCBS certified judge to learn exactly what the judges would be looking for when she turned in her boxes. 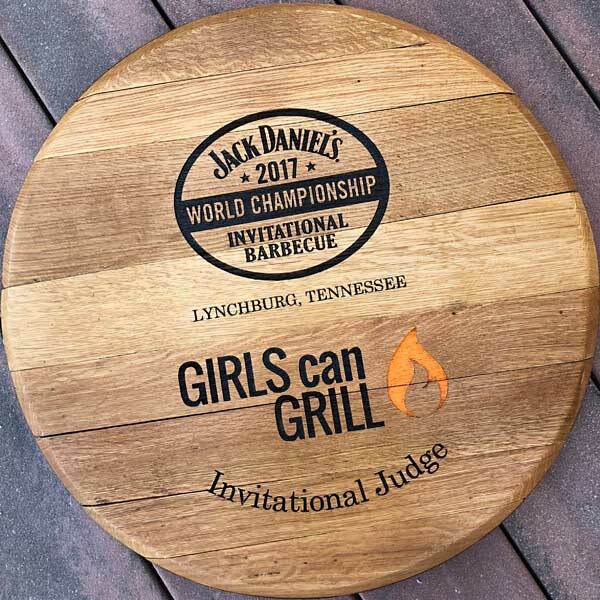 One of the most valuable things that has given Team Girls Can Grill an edge over other new teams is attending barbecue classes from winning pitmasters. Those teams have seen it all, and they’re willing to share their mistakes and successful tips. Team Girls Can Grill is an active member of the Nevada Barbecue Association. This organization is very supportive of its teams. It even hosts an annual spring training for its members that allows cooks to get instant feedback from the judges. Team Girls Can Grill’s proudest moments are when they had their name called in their first sanctioned competition and when they placed 4th in chicken on Fremont Street, beating out some of the nation’s top 10 teams. 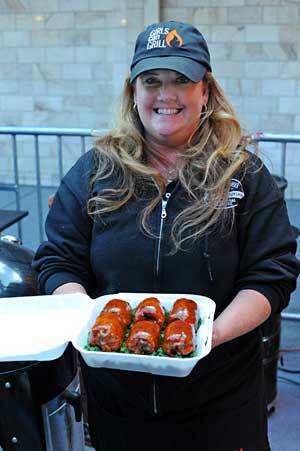 When Christie isn’t cooking in a local competition, she’s judging it as a KCBS Certified Barbeque Judge. One day, she hopes to become a Master Certified Barbeque Judge. 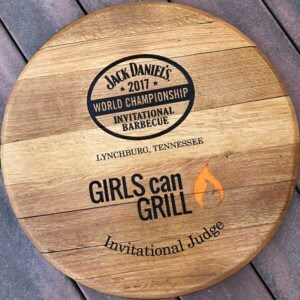 In 2017 and 2018, she judged the coveted Jack Daniels World Championship Invitational Barbecue in Lynchburg, TN, where around 100 teams competed for the title of Grand Champion. Thank you to our sponsors who help make this dream team possible. If you’re interested in sponsoring Team Girls Can Grill, please contact us.